The Caribou Commons Project is a unique collaboration of Aboriginal People, northern artists and musicians, and conservation groups. The goal of the project is to inspire people to help protect the caribou calving grounds in Alaska’s Arctic National Wildlife Refuge, which are threatened by large-scale oil development. 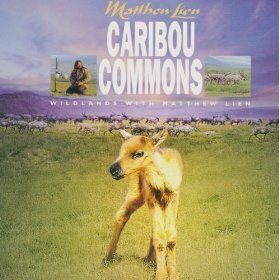 Caribou Commons, a production of Wildlands with Matthew Lien, is a moving and eclectic collection of compositions. Incorporating the sounds of the arctic wilderness and the voices of aboriginal people into the powerful music of the seven-piece Wildlands ensemble, Caribou Commons captures the essence of the calving grounds, the vast range of the Porcupine Caribou Herd, and the issue that threatens their future. The musicians of Wildlands came together in 1997 during the Yukon Wildlands Project’s Tatshenshini River expedition and resulting concert. The seven members of the group bring a wide range of musical styles and experiences to their work, yielding compelling musical compositions and performances full of passion and sensitivity. With Matthew Lien, Wildlands’ producer and audio coordinator, the group recorded the album in December of 1998, reflecting their experiences from the Caribou Commons arctic expeditions. Hear the music that is at the heart of the Caribou Commons Project, and help save the caribou, an ancient aboriginal culture and one of the earth’s last remaining wilderness regions! Caribou Commons is available from Refuge Records. And mew gulls court the waves retort, just as ten thousand years ago. And as they do, a chosen few return their bodies to the ground. Leaving only memories and cloven hoof-prints in the sand. And the ocean glimmers gold tonight, bathed in arctic light. Somewhere a calf will die tonight. It is tragic, it is pure. The coastal plain, the Arctic Sea. All is just as it should be.